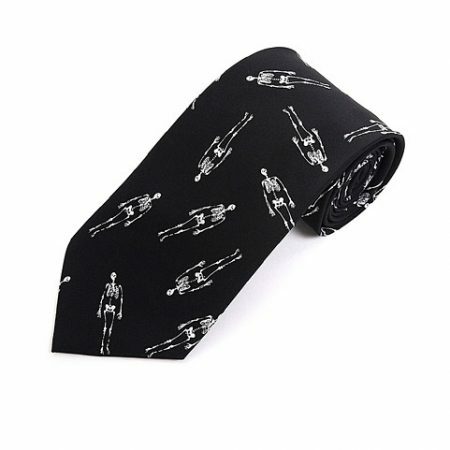 Skeletons Tie – *CLEARANCE! Another quality tie for Halloween! This tie features scary skeletons and is perfect to celebrate the holiday. Great for work or social events. Get ’em while they’re hot! This product normally ships within 1-2 business days. 100% Polyester. Tie is approx. 57″ long and 3.75″ wide.